Ribban Court is a prestige office development and brings some 17,000 sq ft of high quality refurbished office space to Warrington Town Centre. 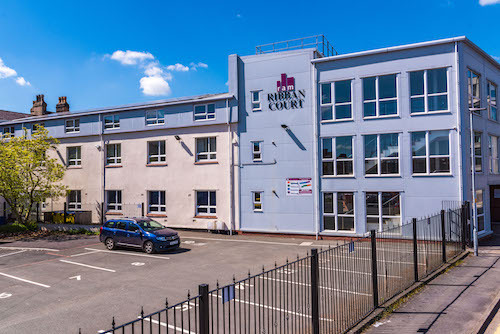 Ribban Court is situated just 200 yards from Warrington Central Train and Bus Stations, as well as the site providing ample on-site, secure car parking. From the modern entrance on the ground floor, there is a central core housing staircase/lift and superb toilet facilities on each floor. Each suite of offices can be open plan or partitioned to suit requirements.